Crunchy, buttery almonds, earthy flavored peanuts and deliciously sweet chewy raisins make up the delectable combination you'll find in this almond mix roasted salted. 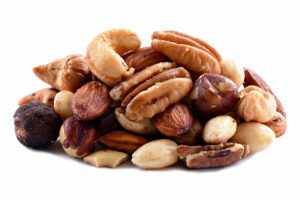 In addition to the more intense flavor the nuts derive from the roasting process, you'll be treated to the satisfying saltiness that enhances the overall flavor of the mixture. This is a wonderfully flavorful mix. 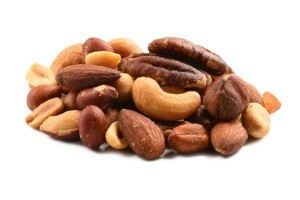 Almonds, Peanuts, Raisins Seedless, Sunflower Oil, Salt. Fresh ! the almonds are very fresh as are the raisins and peanuts. Good combination.